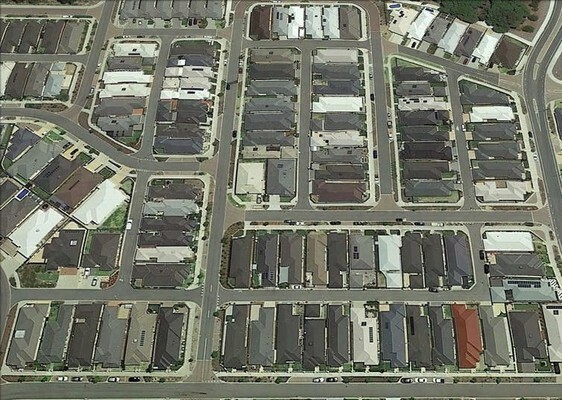 Backyards have all but vanished from housing in Ellenbrook, Australia. St Margaret’s School Berwick students have started their Year 6 exhibition and Misha Ravipati, Rusandi Botheju and Samuel Templar have chosen to write an article to the newspaper. Their topic is Living Spaces and their issue is Living Space Reduction. Australia’s population is growing rapidly! 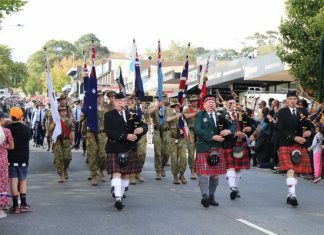 With 7300 people moving to the City of Casey each year the average living space per person is shrinking. Most people are starting to wonder how Australia will sustain all these new comers. With housing sizes getting smaller and new high-rises being built every day, is the land of the green and gold just… Too full? In Australia, people believe the biggest issue is immigration, however, the average number of people per square kilometre is three, and we are the seventh least populated country in the entire world. This is because most of the Australian population resides in large cities on the coast. This leaves a large arid outback area in the centre; most of this area is not habitable or not habited. This is what gives Australia such a low-density rate. Since Australia is a developed country, more people choose to move there. The result is that those people settle in urban areas, and Australia becomes overcrowded. The difference between the number of people who are leaving the country and the number of people who enter narrows which leads to more demand for food, clothes, energy and especially homes. We now have suburbs that didn’t even exist 10 years ago such as Tarneit Plains and Pakenham East. These suburbs have seen such a high demand not only because of population growth but because people want to have a backyard, as well as a large dwelling. Historically, house sizes have risen, but with the increasing number of apartments and smaller block sizes in new estates, a report commissioned by CommSec shows that the size of new-built homes has decreased from 2013 to 2016. Despite their expanding area, Australian cities have less green open space. In attempts to reduce the costs of new infrastructure to meet the needs of the increasing population, an average housing block size was reduced. New suburbs have virtually no backyards because the planning process has failed to mandate minimum garden areas. The result is urban heat islands (is an urban area or metropolitan area that is significantly warmer than its surrounding rural areas due to human activities) that lack greenery and leisure space. We believe that we must do something about this horrific issue. The way forward is through managing space more efficiently and making new houses eco-friendly and space efficient. We have to work together and save Australia’s future!